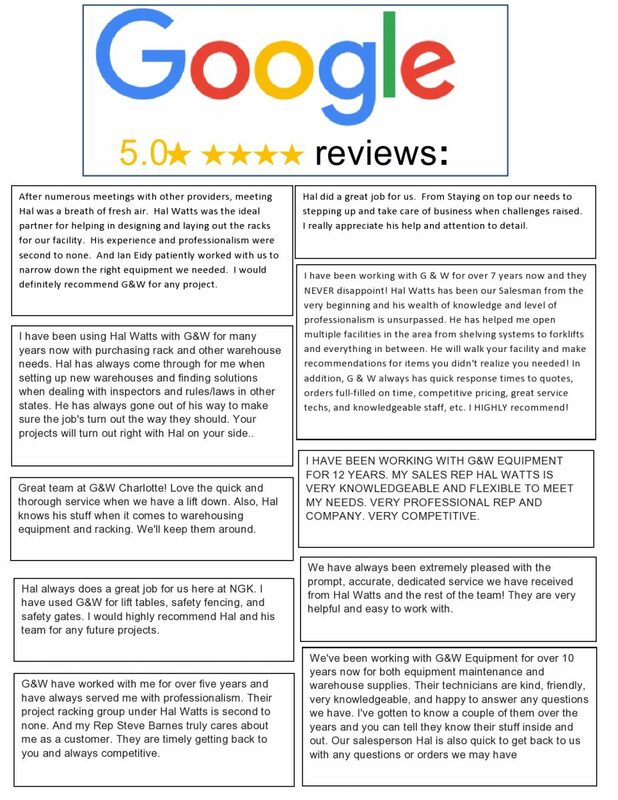 G&W Equipment offers everything you need for Material Handling Solutions for moving or storing products in your plant or warehouse. Scroll over the warehouse image below to see the results after installation. 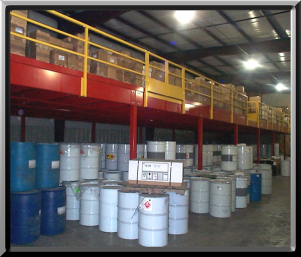 By adding an industrial mezzanine to this warehouse space, we virtually doubled the storage space. Call us today, to see what we can design and install for your material handling needs. Let us help you with ALL your Material Handling Needs. 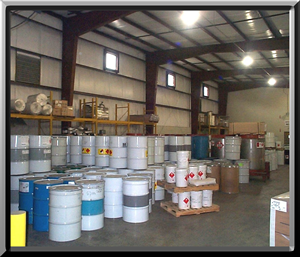 We offer specialized solutions to increase storage space while decreasing your warehouse handling costs. Contact us for an application survey and a FREE consultation on how to maximize space in your facility. G&W will provide you with TURN-KEY service including evaluation, CAD drawings, budget development, installation and project management. 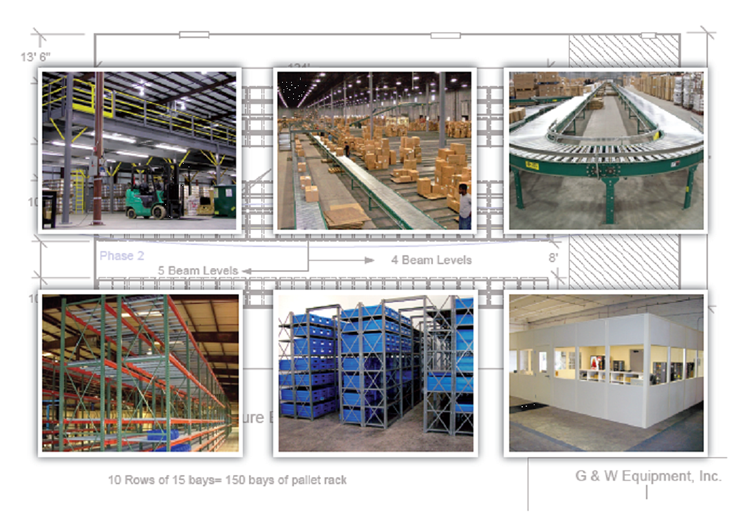 From custom made warehouse carts to engineered conveyor systems, G&W will take your project from start to finish.